CBD is suddenly everywhere — and it’s not hard to see why. It won’t get you high, has a good safety profile, and naturally treats dozens of conditions. But there’s a dizzying amount of choice out there, so we’ve ranked the 20 best CBD oils to help you get started. Whether you’re a rank beginner, or you’ve been experimenting with CBD for a while, we’ve got you covered. We’ll demystify the jargon, clarify current points of debate, and lay out some of the scientific evidence of CBD’s benefits. And we’ll help you avoid the snake oil salespeople by giving you some key indicators of a top-quality CBD company. Everyone’s needs are different — but don’t worry, we’ve got you covered. Fab is aptly named. They offer great products and a fantastic customer experience without robbing you blind. Moon Mother is a new company which is setting the bar very, very high when it comes to quality. They offer full-spectrum distillates in a range of potencies that taste amazing. If avoiding THC is a big deal for you, cbdMD has your back. A newer company, cbdMD offers high-quality, broad-spectrum CBD at great prices. For value, Lazarus Naturals is the hands-down winner. 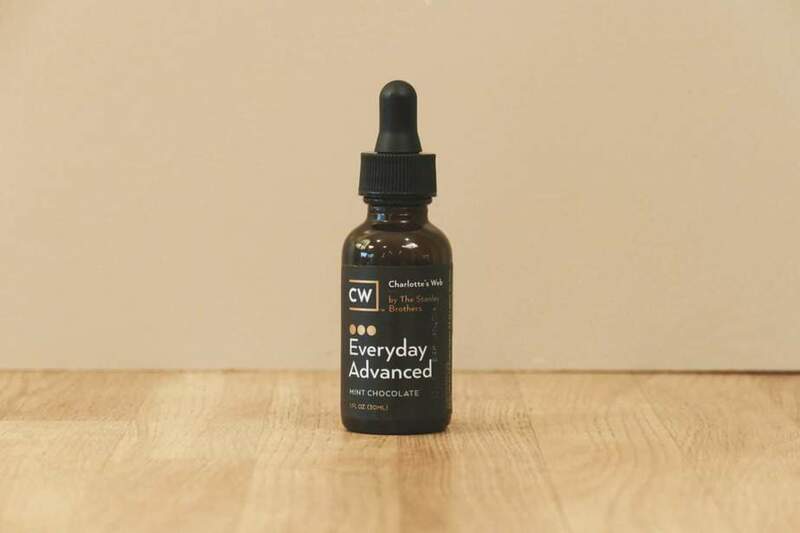 The company is making CBD available to the masses without skimping on quality. CBD has become a huge money maker, and there’s no shortage of companies willing to lighten your wallet. New companies are starting up all the time — and now that CBD has officially been removed from the DEA’s list of controlled substances, we are going to see many, many more people getting in on the action. If you’ve done any CBD shopping, you’ve probably noticed inflated claims about being “America’s #1 provider of CBD” or about the superlatively pure quality of their product. But how do you, the consumer, know who actually is providing a high-quality product and who is…not? That’s where we come in. At RAVE Reviews, our job is to sort out the great companies from the mediocre and the truly awful. We’ll cover the scientific evidence behind CBD and our own methodology shortly. 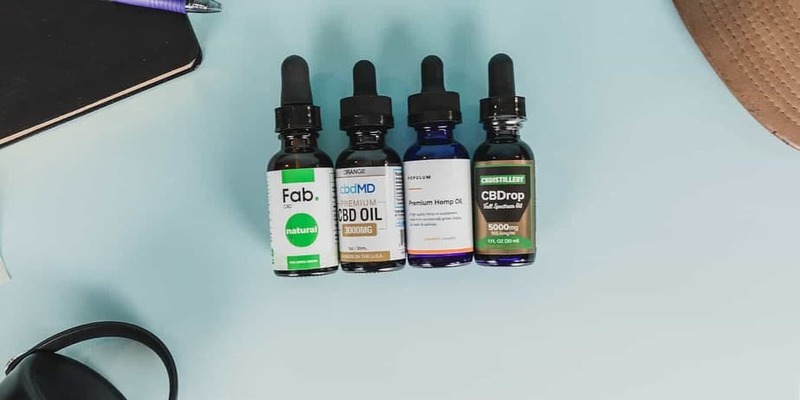 But for now, let’s take a look at our picks for the best CBD oils for 2019. Fab remains at the top of our list for good reason. 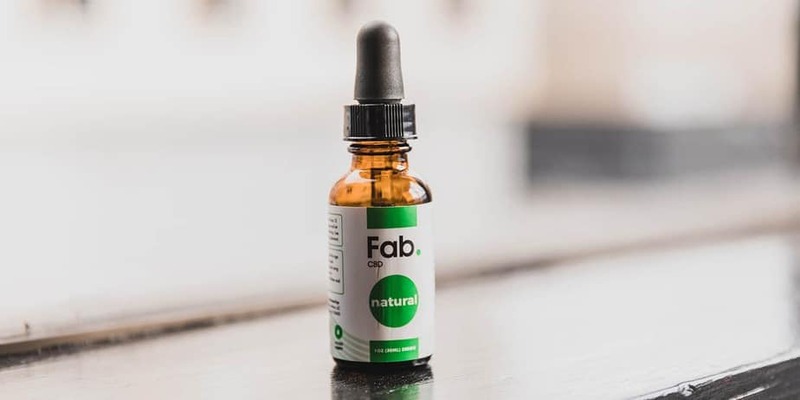 They’re committed to creating top-of-the-line CBD products whilst cultivating a company culture of transparency that puts them at the forefront of the CBD movement. 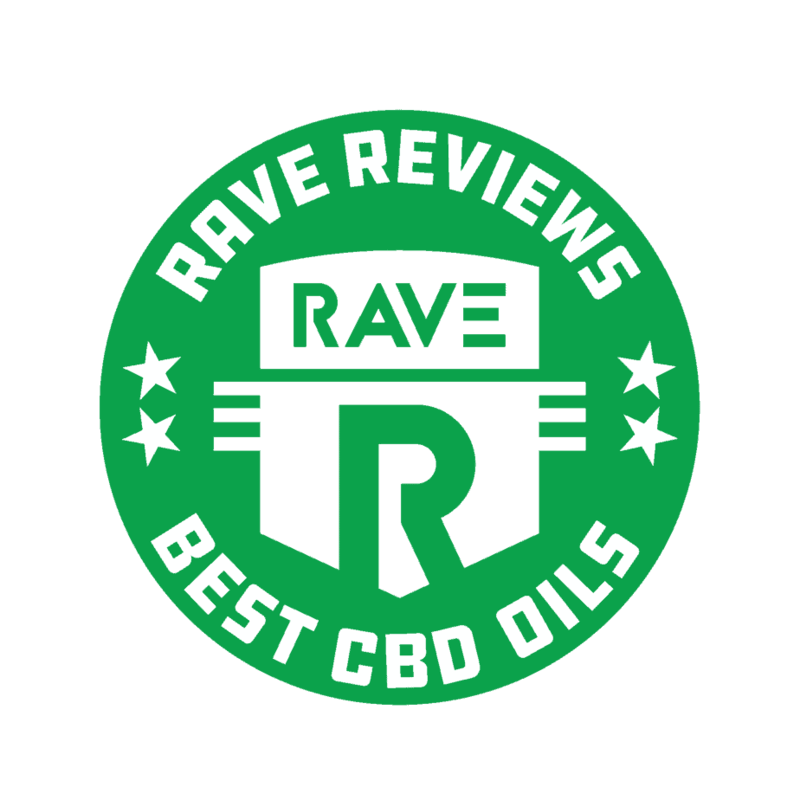 Their CBD oils get top marks for quality and they treat their customers like royalty. Source / Type: Domestically sourced, organic, full-spectrum distillate. Transparency: They have up-to-date lab results on their website — these include results for cannabinoid and terpene levels, as well as pesticides. Third-party lab tests happen every couple months — and they perform these tests on all their products. Customer Service: Fast, helpful customer support. You have 30 days to return a product (if you order multiple items, only one can be opened). 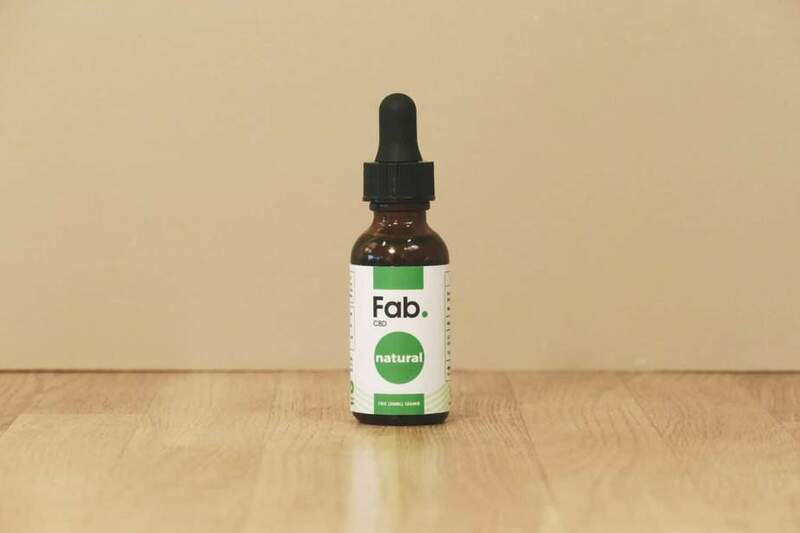 And when you buy a product, you have the option to become a member of Fab’s Facebook community, which allows you to interact with company representatives and other Fab aficionados. Options: Concentrations range from 150 mg to 1200 mg per 1 fluid oz bottle. You can also choose from 3 flavors: citrus, mint, and natural. Moon Mother Hemp Company is a very new company that has shot up to the top of this ranking. They source local, Colorado, USDA certified organic hemp (a genuine rarity in the world of CBD). And they offer a nice range of full-spectrum CBD products — from tinctures to bath salts which, for us, have the highest quality rating possible. Source / Type: USDA certified organic, domestically sourced, full-spectrum CBD oil. Transparency: Moon Mother has each batch of CBD oil tested for potency (as well as residual solvents and other contaminants) by a third party. The third-party lab reports (COAs) are all available on the website. We wouldn’t mind seeing a bit more information on the company itself on the website, but most of the important information is easy to find. Customer Service: This is a smaller company, but when we called for info the phones were answered right away. Free shipping kicks in at $75, and the company offers a solid return policy which gives you 15 days to decide if you’re happy with the product. Options: For tinctures, you can now choose between 500 mg, 1000 mg, 1500 mg, and 2500 mg CBD per ml. They also offer the flavor options of peppermint and cinnamon — both of which taste amazing. 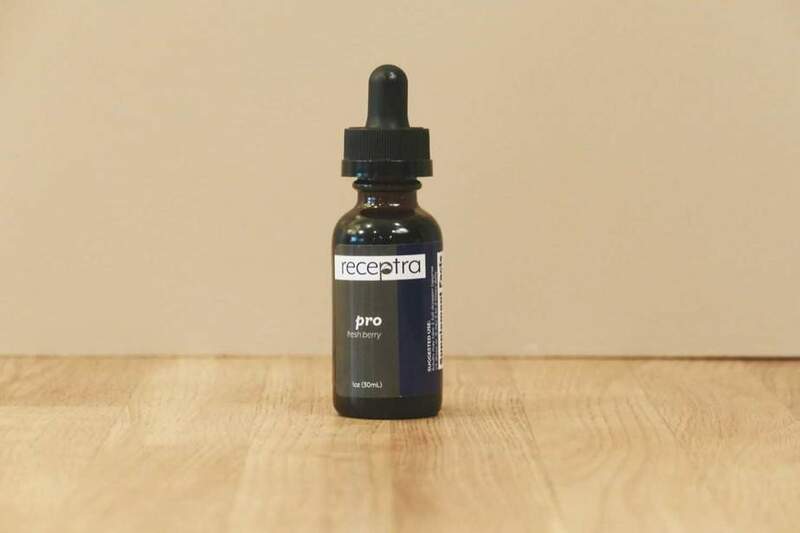 Receptra Naturals sets a high bar for themselves. They extract their CBD oil from the flowers (the best bits) of hemp plants while keeping prices affordable. And they excel in the area of transparency, making third-party lab tests easy to find on their website. Source / Type: Domestically sourced, organic, full-spectrum CBD. Transparency: Every batch is third-party tested, and you can find the lab tests on their website. Lab tests include information on cannabinoid potency as well as other contaminants like residual solvents and heavy metals. Customer Service: Customer service responds quickly and is happy to answer questions fully. There’s no free shipping, but their return policy allows you thirty days to decide if you’re happy. If you’re looking for value, but also want to buy from a company with a strong ethical backbone, Lazarus Naturals is your company. The company is based out of Seattle and is deeply committed to making CBD available to everyone. They put their money where their mouth is, with discount programs for veterans and people with low incomes. Source / Type: Both full-spectrum and isolate-based CBD oil from organic, domestically sourced hemp. Transparency: Every batch of CBD oil is third-party tested, and you can find up-to-date lab results for each product on their website. Customer Service: Prompt and informative, if terse, customer service, and a new 30-day, no-questions-asked return policy. Free shipping kicks in at $50. Options: Tinctures come in standard and high potency options, and both isolate and full-spectrum CBD. Based in Kentucky, cbdMd provides high-quality CBD oil at a great price. They formulate a broad spectrum CBD oil, which means you get CBD and minor cannabinoids without the THC. Their tinctures taste good and come in a wide range of concentrations, so you can easily customize your dose. Transparency: cbdMD provides third-party lab results on their website — but only of their CBD isolate and extract (which is then used to formulate their products). Customer service says third-party lab tests are performed every few months, but from our observations, twice per year might be more accurate. And they don’t make third-party lab tests of their post-formulation products readily available. The lab report on the website shows results for cannabinoid potency as well as terpenes and contaminants like heavy metals. Customer Service: cbdMD has very strong customer service — responses are fast and well-informed. Shipping is free, and you have 30 days to return their products if you aren’t satisfied. Options: Concentrations for their 30 ml bottle range from 300 mg to 3000 mg. There is also a 60 ml option which has from 1000 mg to 5000 mg of CBD. You can choose from 4 flavors, all of which get pretty decent reviews. CNN’s 2013 documentary on CBD brought notoriety to Charlotte’s Web (or CW Hemp), and it’s one of the best-known and highly respected CBD distributors. Run by a family of 7 brothers, Charlotte’s Web is an established, well-trusted Colorado-based company known for their CBD-dominant strain of hemp. Source / Type: Domestically sourced, organic, full-spectrum CBD oil (they also offer one isolate-based tincture). Transparency: Every batch is third-party tested, and if you want to see a lab test for the product you’re interested in before you purchase, just email customer service. Customer Service: Customer service responses vary a lot. We’ve had customer service reps pick up the phone right away, but email responses tend to take 2 to 3 days. They sent a ton of information, though. And they give customers a 30-day satisfaction guarantee (which includes free return shipping). Options: Concentrations range from 200 milligrams per bottle up to 1800 in their new Max. Strength tincture (not available online). If you’re looking for the high-end choice, Populum is it. There’s no denying that their products are expensive, but they also check all the boxes when it comes to quality and transparency. And they’ve nailed the customer experience too — from product design to packaging. Transparency: Every batch is third-party tested, and you’ll get a copy of the lab test in the box with your purchase. If you want to see a lab test for the product you’re interested in before you purchase, just email customer service. Customer Service: Customer Service responses are fast (within a day) and they answer questions well. They also offer free shipping and a 30-day risk-free trial on your first product. 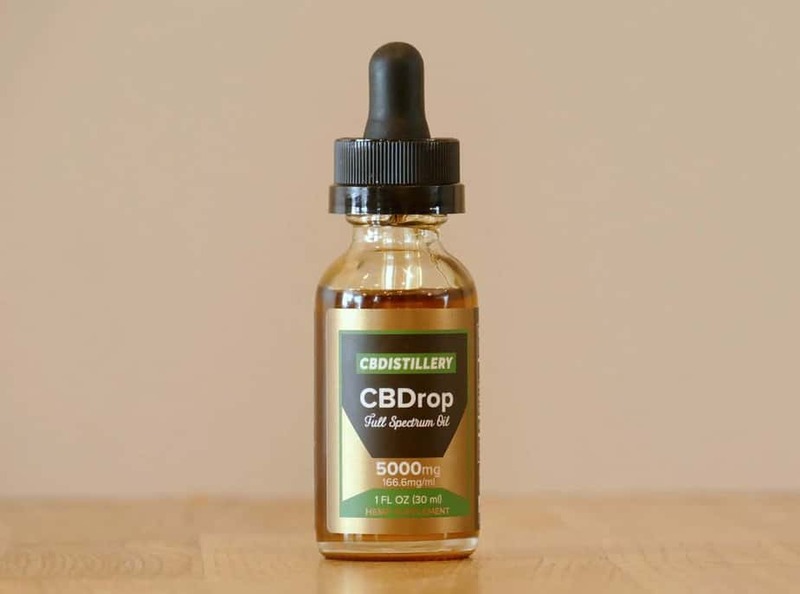 Options: Concentrations range from 250 mg to 1000 mg per 1 oz bottle. Orange flavor only (delicious!). Pure Hemp Botanicals is a Colorado-based company that provides high-quality CBD at moderate prices. The backbone of their company is a dedication to sustainable, cruelty-free farming and processing, and they offer highly responsive customer service. Transparency: Third-party lab results for potency are easy to find on the website, and you can look up the specific lab test for your own bottle. Customer Service will provide a copy of the lab test if you’d like to see it before you purchase. Options: Concentrations range from 300 mg to 3000 mg of both full-spectrum and isolate based tinctures. 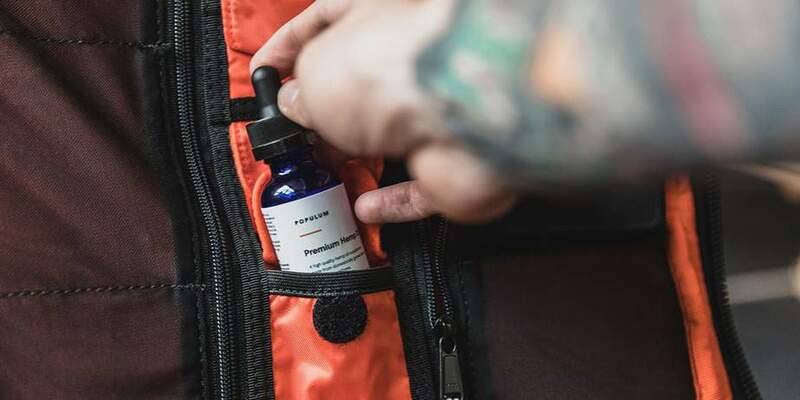 Pure Spectrum wants to revolutionize the CBD industry, and to show that they’re serious, they’ve managed to obtain USDA organic certification — a formidable feat currently. They offer reliable, high-quality broad-spectrum CBD oil extracted from organically farmed hemp at respectable prices. Source / Type: Domestically sourced, USDA certified organic, broad-spectrum CBD oil (THC-free). 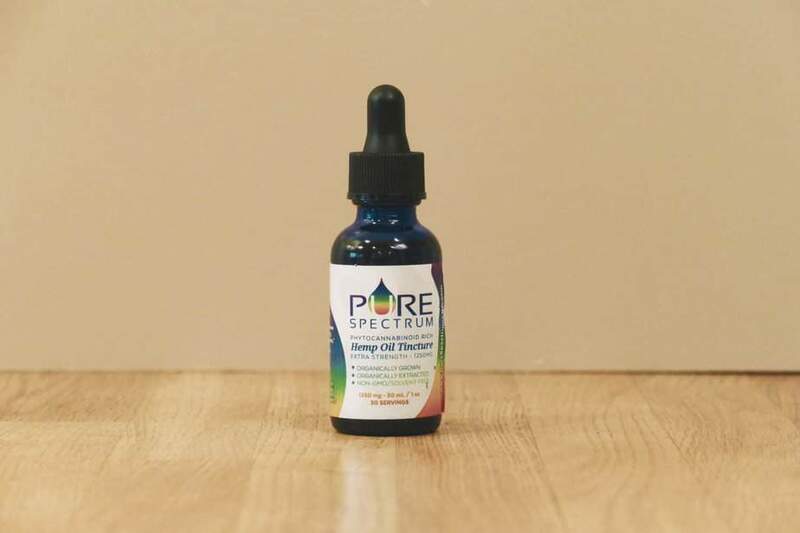 Transparency: Pure Spectrum has each batch of CBD oil tested by a third-party lab, and those results are readily available on the website. The results only show the levels of cannabinoids present, though — information about contaminants isn’t available. Customer Service: No free shipping, but customer service responses are timely and informative, and they offer a strong return policy. Options: Their full spectrum tincture concentrations range from 250 mg CBD in their 15 ml bottle up to 3000 mg in their 60 ml bottle. 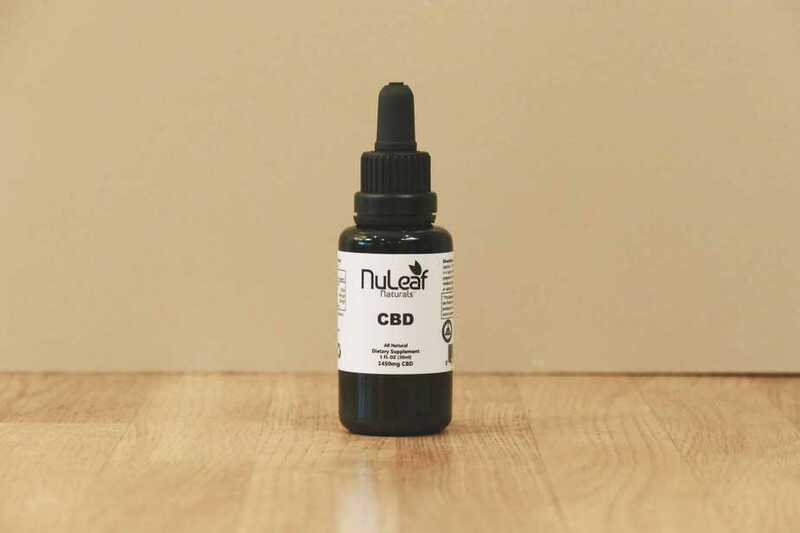 NuLeaf Naturals is a Colorado-based company committed to providing customers with high-quality CBD oil. Founded in 2014, the company is well established, and while their product selection is limited, you’ll find organically grown, whole-plant extracts that give you the full entourage effect. Source / Type: Organic, domestically sourced CBD. Transparency: Third-party lab tests are available by request. NuLeaf sent us a copy of their lab tests, but didn’t share how often those tests are performed (though the ones we’ve seen are always very recent). Customer Service: We’ve had issues in the past with NuLeaf’s customer service, but they seem to have improved dramatically. Phones were answered promptly, emails responded to within 24 hours — with all kinds of information on their growing practices. They also offer free shipping, but returns are limited to unopened products. Options: There’s not much in the way of options — all tinctures have the same concentration of 50 mg CBD per ml. Your choice is limited to the size of the bottle. Hemplucid is a more recently established company, but they definitely seem to know what they’re doing. They sell organic, whole plant, Colorado-grown CBD, and they make a big deal about transparency — from frequent third-party lab testing to their clear bottles. Source / Type: Domestically sourced, organic, full-spectrum CBD oil. Transparency: Third-party lab tests are performed for every batch of CBD, and up-to-date third-party ab results are on the website. The lab tests only show results for cannabinoid potency. Customer Service: On the whole, Hemplucid offers pretty solid customer service — they answer their phones quickly and give good, complete answers to product questions. Email responses can take a bit longer — and one was never answered. They provide both free shipping and a solid return policy. Options: Concentrations range from 250 mg to 1500 mg. There’s no flavor options, but their tinctures have a light bodied hemp taste. And you can choose between a tincture with an MCT carrier oil, or a water soluble tincture (which makes blending with food and drinks easier). 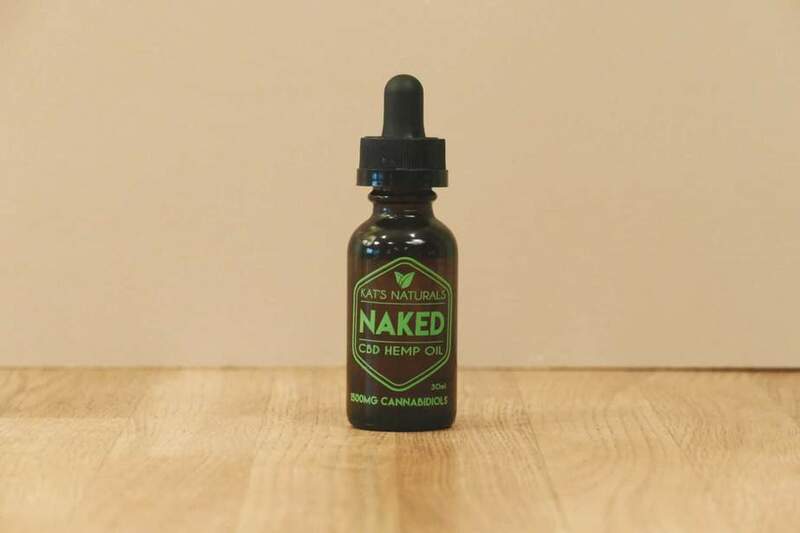 A Florida-based company that frequently makes its way onto CBD rankings, Green Roads was established way back in 2011 and their experience shows. The company produces a huge range of broad spectrum CBD products made from organic, Colorado-grown, CO2-extracted hemp. Source / Type: Domestically sourced, organic, broad-spectrum, and isolate CBD. Transparency: Green Roads makes third-party lab reports easy to find on product pages. Customer Service says they do third-party test on products every 3 months, and every time they launch a new product. COAs we’ve seen are very recent. Customer Service: Green Roads customer service reps are super friendly and well informed. Emails can take longer (and one was missed entirely), but answers are open and informative. Their return policy is a bit of a downer — you have 30 days to change your mind, but the product must be unopened. 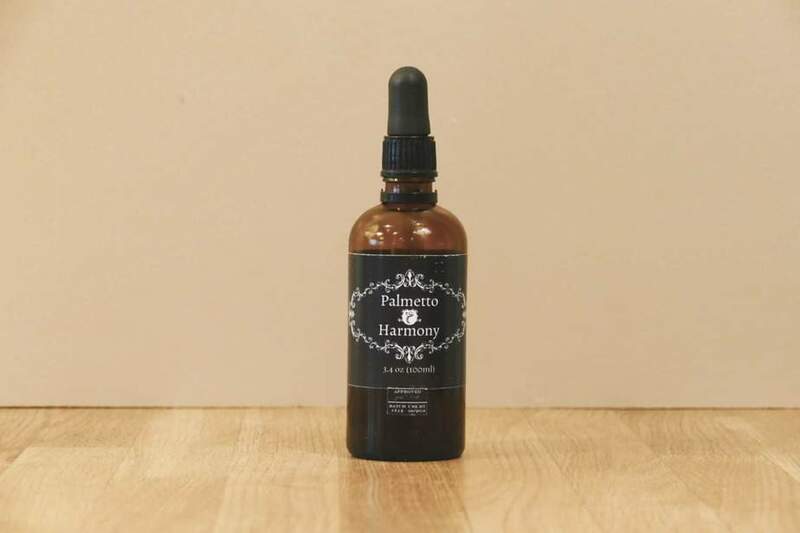 Options: Tincture concentrations range from 100 mg up to 3500 mg per 30 ml bottle. Other Products: Edibles, topicals, pet products, syrups, concentrates, tea and coffee — and more. 4 Corners is a Colorado-based company that has built a solid base of satisfied customers on their high-grade hemp products. They control their process from seed to finished product — and you can read on their website about their Ma’at strain of hemp. Their products are pricey, but their customers seem to feel that they’re well worth it. Source / Type: Organic, domestically sourced, full-spectrum CBD oil. Transparency: 4 Corners has up-to-date third-party lab reports for all their products on their website. The publicly available reports only cite cannabinoid potency, and we were unable to ascertain how often third-party testing takes place. Customer Service: In the past, we’ve had some issues with confusing responses from 4 Corners, but their customer service has improved a lot. We got fast, thorough responses to our inquiries through email, phone, and Facebook. They’ve also made their return policy a lot more generous (30 days for opened or unopened products), and instituted free shipping on any purchase. Options: Tinctures come in concentrations of 250 mg or 500 mg per 15 ml bottle (1000 mg in a 30 ml bottle). There’s also an avocado oil tincture in the same concentrations. A new company on our ranking, Every Day Optimal is based in North Carolina but sources their organic hemp from Colorado. The company specializes in isolate-based CBD products and offers what might be the most potent CBD tincture on the market. Source / Type: Organic, domestically sourced CBD isolate. Transparency: Customer service informed us that third-party testing takes place every 3 months, though the COAs we looked at on the website were actually 6 months old. They do show lab tests for every product they sell. Customer Service: There are multiple ways to contact customer service and we got responses to our queries within an hour. You’ll have to pay for shipping unless your order is over $200 (though it’s not super expensive before that) and you’ll have 30 days to decide if you’re happy with the products. Options: Every Day Optimal’s tinctures range from a low 300 mg per 30 ml up to a staggering 10,000 mg per 30 ml bottle. If you really want to avoid THC altogether, then you might want to try one of Medterra’s isolate-based products. Their product design is uninspiring, but their prices are great. And if you don’t like the flavor of most CBD products, Medterra’s tinctures are truly flavorless. Source / Type: Domestically sourced, organic CBD isolate. Transparency: Medterra has a third-party lab test every batch of their isolate and those lab reports are both easy to find and include lots of information. Unfortunately they do not have their products third-party tested for potency once they’re formulated. Customer Service: Customer service was prompt and informative. You’ll have to pay for your shipping unless you spend over $100, but shipping costs are inexpensive and they offer a good return policy. Options: Tincture concentrations range from 500 mg to 3000 mg CBD. No flavor options (actually, no flavor at all — this is a flavorless tincture). 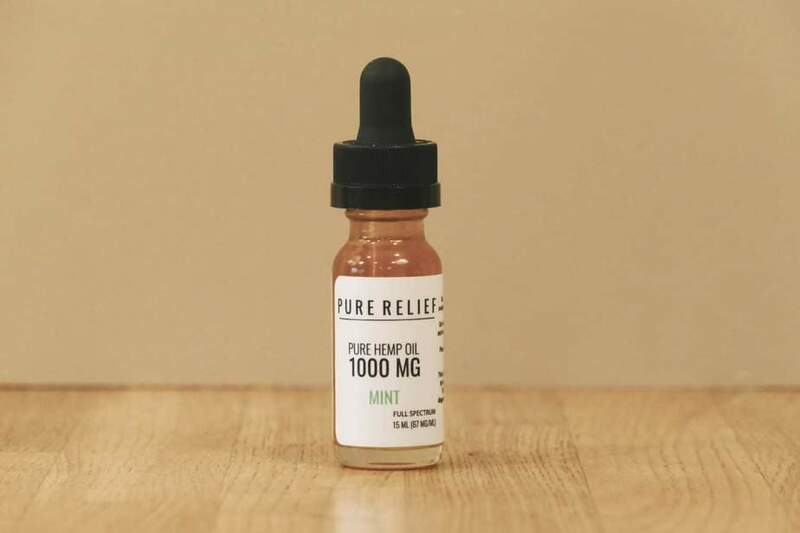 Based in North Carolina, Pure Relief is a brand new CBD company that is setting out to create high quality CBD products at reasonable prices. They sell the standard CBD fare like tinctures and topicals, but are also making available more unconventional products (for the CBD world) like CBD Pre-Rolls. We like the sample sizes too! Transparency: Pure Relief does make available third-party lab tests for all their products, but they are only taking place on an annual basis at this point. Their website is also thin on information about their sourcing and extraction, so it takes some digging to figure out what exactly they’re using in their products. Customer Service: You can contact Pure Relief through email or phone, and we found responses to be quick and helpful. Once you spend $15, your shipping is free but the company has a pretty strict return policy (30 days for unopened products). 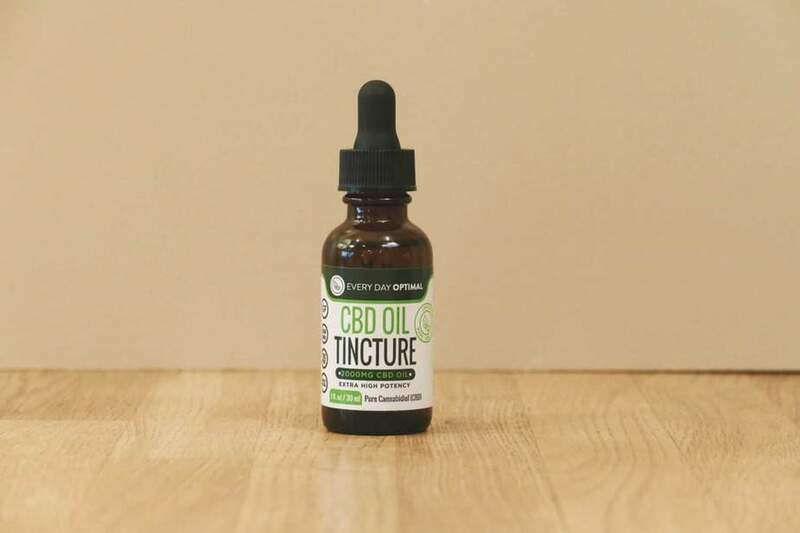 Options: Tincture potencies range from 500 mg up to 5000 mg per 30 ml bottle. Palmetto Harmony is a South Carolina family business founded by parents in search of high-quality, full-spectrum CBD oil for their child. Not surprisingly, they take quality seriously and are a trusted source of CBD for many parents of special needs children. Source / Type: Organic, domestically sourced, full-spectrum CBD. Transparency: Palmetto Harmony sends each batch of CBD oil to a third-party lab, and, though those COAs aren’t on the website, you can request a copy of the results before you purchase. These include results for cannabinoid potency as well as a whole range of other possible contaminants. Customer Service: Customer service responses were fast and informative. Their return policy is little unclear — you have 7 days to request a return, but it doesn’t state if the product can be open or not. There is no free shipping. Options: The tincture comes in 2 sizes — 30 ml or 100 ml. Both sizes contain the same concentration of 20 mg CBD per ml. No flavor options. CBDistillery, a Colorado-based company, sells a bit of everything CBD-related, while managing to keep prices reasonable. They use non-GMO, pesticide-free hemp and CO2 extraction to create a wide range of CBD products. Transparency: It’s easy to find third-party lab tests on their website, and they take place each month. In addition to cannabinoids, they include testing results for both heavy metals and pesticides. Customer Service: Responses to our inquiries were quick and thorough, though they’re often standard form responses. But the company’s return policy is rigid — you have only 7 days to decide if you want to return an unopened product. And when we looked at their Facebook page, we noticed several unhappy customers whose issues (which ranged from very slow order fulfillment to partially or entirely incorrect orders) had been unaddressed by customer service. Options: Concentrations range from 250 mg in their smallest bottle up to 5000 mg in their largest bottle. They also have isolate-based tinctures. 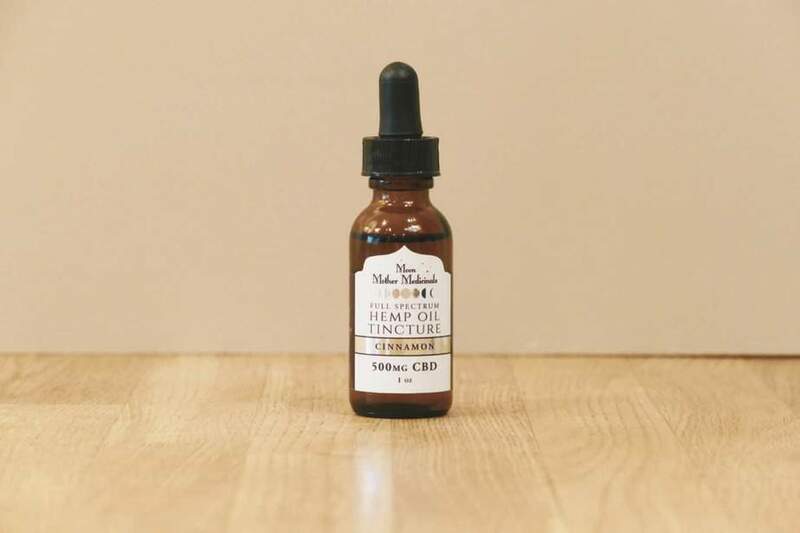 Kat’s Naturals is based in Tennessee and sources their hemp from local Southeastern farms — a part of their dedication to creating sustainably sourced CBD products. The company focuses on isolate-based products, with several potency options. Source / Type: Organic, locally sourced, CBD isolate. Transparency: Every batch of isolate is third-party tested, and you can find test results for all products in the product descriptions on the website. Customer Service: You have 3 ways to get in touch with Kat’s Naturals and can expect to hear back within a day or so. Responses were friendly and informative. The company offers a solid 30-day return policy, and free shipping kicks in once you’ve spent $150. 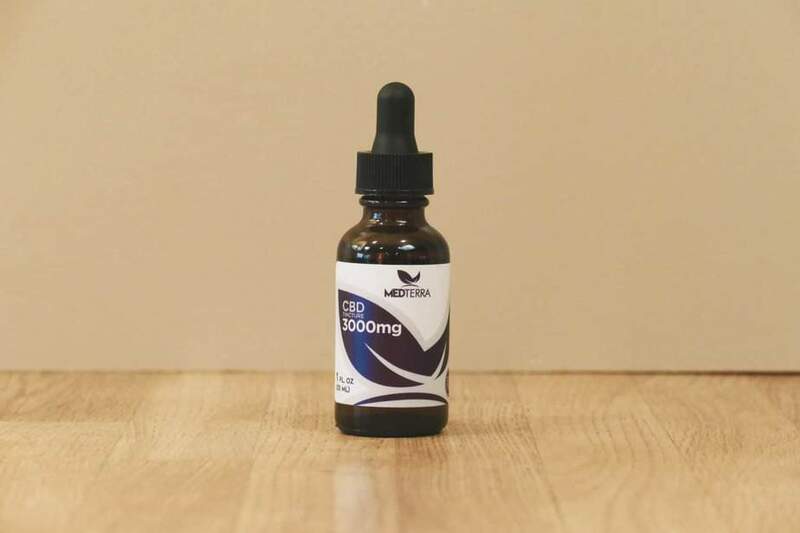 Options: Concentrations vary from 300 mg up to 1500 mg per 30 ml bottle. There is one full-spectrum option as well (Balance). 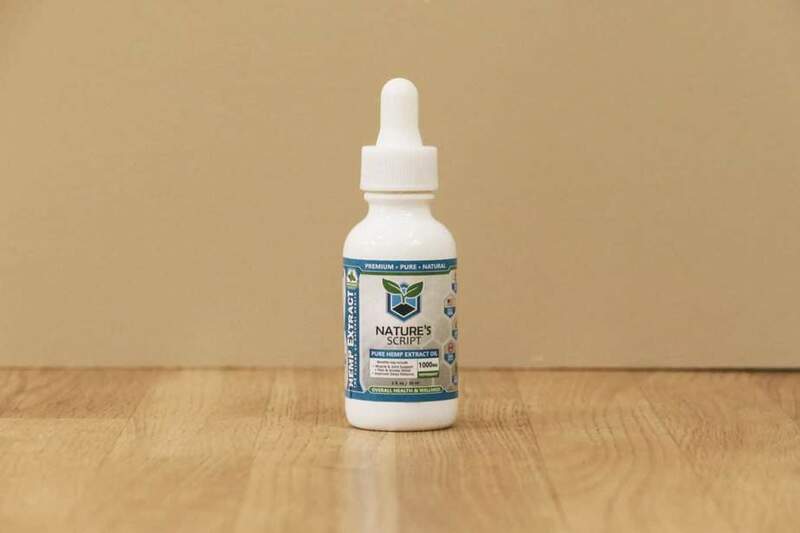 Nature’s Script is a Florida-based CBD company and a new arrival to our ranking. Their website and product packaging do not scream “high quality product” but, in fact, they do check the most important boxes, including domestically sourced, organic hemp extract and frequent third-party testing. Transparency: Nature’s Script has each batch of CBD tested by a third party and provides lab reports (COAs) for all of their products. These are readily available on the website. One quibble we have with this company is that the website claims that their CBD extract comes from certified organic hemp. When asked, the company could not provide verification. Customer Service: Customers can get in touch with customer service via email or phone and responses tend to be fairly timely and generally helpful, though we’ve had some conflicting information as well. Shipping is free over $75 and the company offers a 30-day return policy. 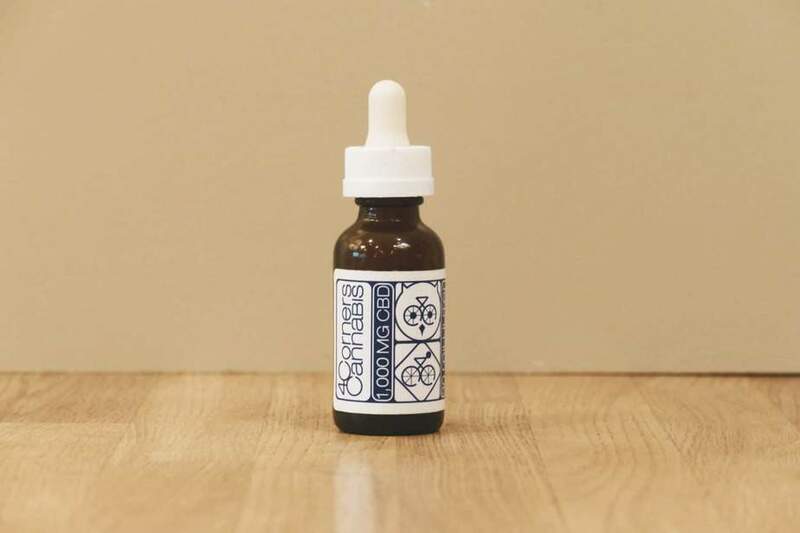 Options: Tinctures come in potencies that range from 300 mg up to 4000 mg per 30 ml bottle. You can also choose between mint and (artificial) watermelon flavor. How Did We Pick the Best CBD Oils? For our 2019 update of the Best CBD Oils, we’ve made a couple of adjustments to our methodology. Of course, the quality of the CBD oil itself remains paramount — and we want to reward companies that take the quality of their products seriously. We continue to give more weight to the quality of the product than any other category. 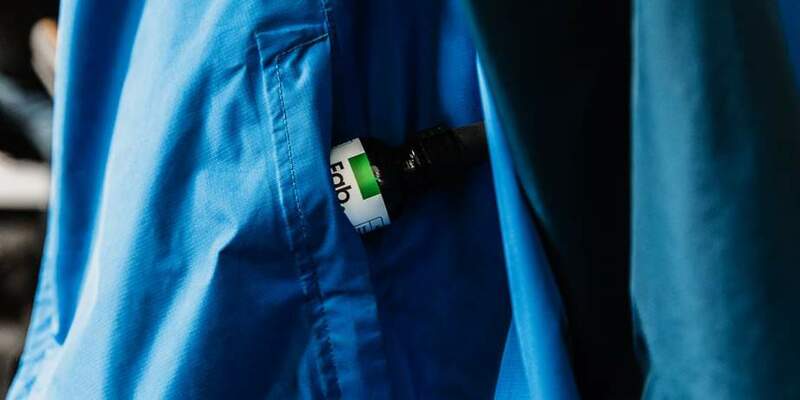 Beyond the quality of the actual CBD extract that companies use, we looked at several other factors that indicate a company culture of integrity and customer care. These factors include transparency (it’s hard to over-emphasize this in an unregulated market), the customer experience, and the value for your dollar. We start with the source. In the past, it was difficult to obtain American-grown hemp, but the 2014 Farm Bill changed that (and the 2018 Farm Bill will even further revolutionize the American hemp industry). Many countries grow hemp, but U.S. hemp is grown under stricter regulations than most. As a result, the companies that source domestically grown hemp got higher points. It’s still extremely difficult to acquire USDA certified organic hemp. In addition to seeking companies with this certification, we inquired into growing practices like whether farmers spray their crops with pesticides, fungicides, or chemical fertilizers. This is so important that no companies using non-organic hemp made it onto our ranking. Top marks went to the few companies that used USDA certified organic hemp — and were willing to provide us with verification. We continue to rate each product based on the type of CBD used: isolate, full-spectrum, broad-spectrum, or distillate. 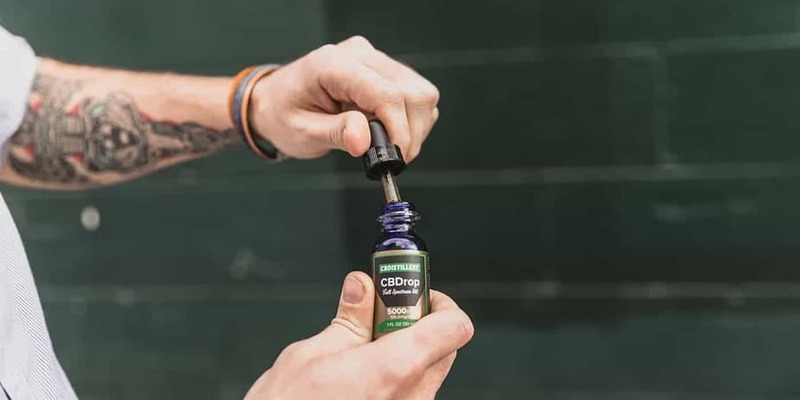 We know there’s a lot of debate around what form is actually best, but our first decision was to give points to CBD oil that contains a range of cannabinoids. While there are certainly people with good reasons for choosing an isolate, there is evidence that CBD works better in combination with other cannabinoids (this is called the “entourage effect”). So a full-spectrum CBD oil got higher points than an isolate. But because THC can be a problem for some people, we also gave more points to companies with a “broad-spectrum” tincture. Broad-spectrum CBD oil includes a range of other cannabinoids, but minus the THC — which is generally what people using isolates are trying to avoid. If you do a Google search, you will certainly be able to find people who think distillates are too pure, and that full-spectrum oils are more effective. But in light of the (as yet) inconclusive evidence, we prefer a distillate. The process of distillation allows the manufacturer an incomparable degree of control over the finished product. It’s also odorless and tasteless, so those tinctures tend to taste better. …Which segues neatly into our final quality marker: taste. Of course, taste is subjective, and we’ve actually reduced the importance of taste for this update. But because there are companies working hard to make their tinctures palatable, we gave higher points to companies with tinctures that didn’t make us cringe. We also paid attention to whether artificial flavors were used (and we let you know about it). Even with the recent clarification of CBD’s legal status, the government still doesn’t regulate the quality or consistency of CBD products, so it’s vital that companies are forthright with their sourcing and manufacturing processes. For this category, we put a lot of weight on how companies deal with third-party lab testing. First, we rated them on how easy it is to find those lab test results (COAs) — with the highest marks going to companies that go to the trouble of displaying them (and keeping them updated) on their websites. 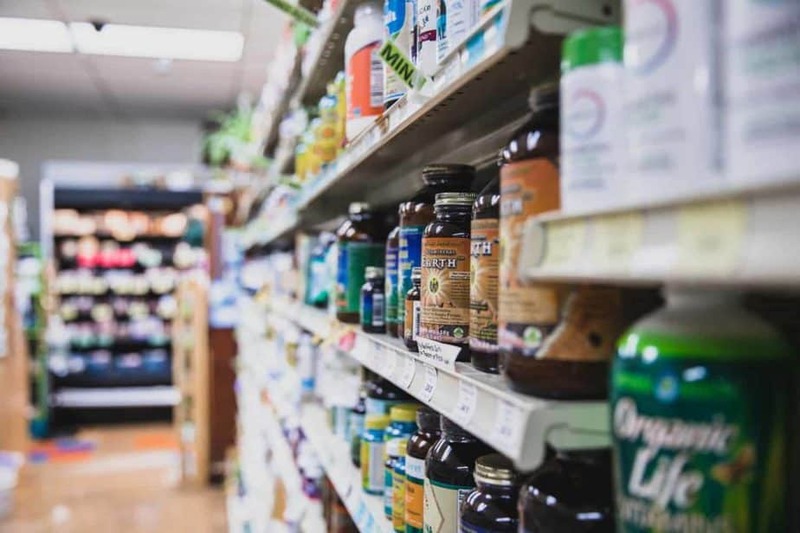 For this ranking update, we also looked at whether companies are providing third-party lab tests for their products post-formulation or if they’re just testing the source isolate or CBD extract which goes into all their products. Nobody can test every single bottle of product, but samples of each product can be tested for cannabinoid potency at a minimum. We then asked how often the companies have third-party testing performed (top marks for those who send every batch to a third-party lab). And we gave points to companies who make it really easy to find information on extraction, sourcing, and growing practices. While quality is super important, most of us have to pay attention to the price of the product as well. So to calculate the product value, we weighed its price against its quality score. That final score, out of 100, breaks down to 70% for the price and 30% for quality. For consistency, we used the price per milligram of CBD for the company’s highest potency tincture. Again, quality is important — but we’ve all had a lousy customer experience that totally eroded the value of the product. For this portion of our research, we went undercover, posing as customers. We went through the entire shopping experience, beginning with navigating the website and sending out customer service emails (and phone calls, and instant messages) right through to the checkout process to catch glitches and snags. We also looked into shipping costs and return policies. And we added a few points for the design and appearance of both the website and bottle. Our updated ranking includes some new companies. Every Day Optimal, Pure Relief, and Nature’s Script are all newer companies that met our standards. 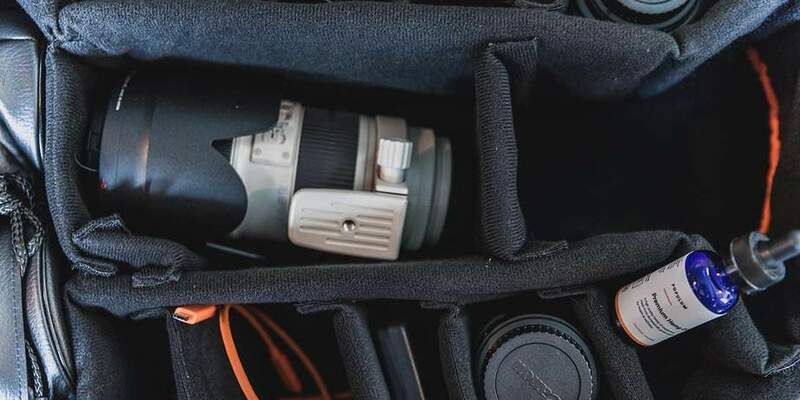 Other companies have updated their websites, added free shipping, or strengthened their third-party testing practices, so there’s been a significant amount of movement up and down the ranking. One caveat: Each company’s product has a slightly different profile of cannabinoids (you should be able to see the cannabinoid profile in the COAs), and everyone’s body reacts uniquely to cannabinoids. So the best product for you may not be the one on the top of our list. We feel confident, though, that all the companies on this ranking are producing high-quality CBD products. All have customer service representatives that should be able to answer any questions you have about their products, and many stand behind their products with strong return policies. Whether you’re just beginning your search for a CBD tincture, or you’ve been looking for the perfect tincture for some time, we hope our list helps you find the CBD that makes your endocannabinoid system sing! In short, Cannabidiol — or CBD — is a cannabis compound that has many therapeutic benefits. 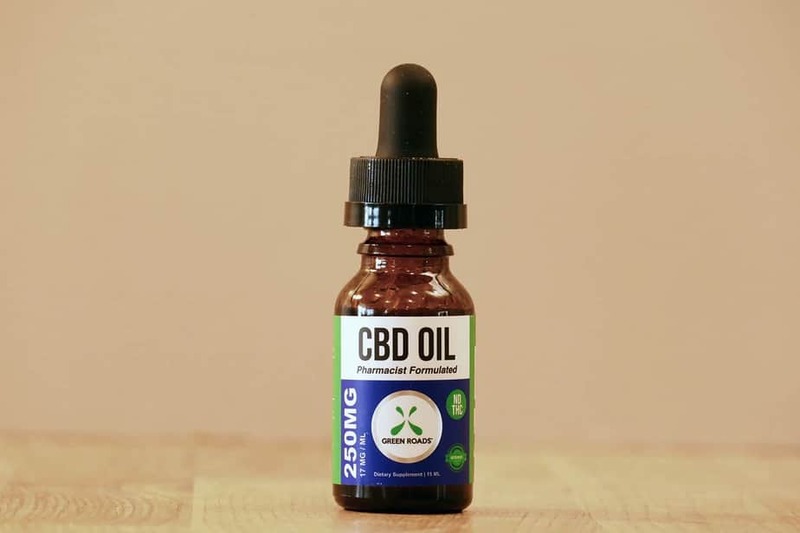 Usually extracted from the leaves and flowers of hemp plants — though marijuana can also be a source — CBD oil is then incorporated into an array of marketable products. These products vary from the most common, like sublingual oils and topical lotions, to the less common (think CBD lattes). Basically, if you can dream it, you can buy it. There’s a lot of ongoing research in response to the question of how CBD works. What we do know is that as a cannabinoid, CBD interacts with your body’s endocannabinoid system. “Endocannabinoid” may not be a household word, but every mammal has an internal system that produces cannabinoids that interact with 2 kinds of receptors. The endocannabinoid system is spread throughout your brain and body, but primarily throughout your central nervous system. The interaction between cannabinoids and receptors is what produces effects like the regulation of mood, pain, appetite, inflammation, and memory. Plant-based cannabinoids, found in cannabis plants, also interact with the receptors (whimsically named CB1 and CB2) in the endocannabinoid system, and each affects your body in different ways. CBD and its infamous cousin THC are the 2 most well-known cannabinoids. CBD is a non-psychoactive component of the cannabis plant. So, no, it will not make you high. There are at least 113 different cannabinoids that can be isolated from cannabis plants, each of which has its own effects. THC (or tetrahydrocannabinol) is the only cannabinoid responsible for the high that people get from marijuana. In fact, not only will CBD not make you high, it has been proven to counteract the psychoactivity of THC. This property makes CBD highly useful as a medical treatment for a wide range of conditions. In terms of the CBD products you can buy, the amount of THC present varies from none at all in a pure CBD Isolate to a minimal amount (less than 0.3%) in a Full-Spectrum CBD product. As the name suggests, Full Spectrum CBD comes with a lot of other elements present in the plant. This includes terpenes (which give marijuana and hemp its distinctive smell) and cannabinoids like the lesser known CBG and CBN — and even small amounts of THC. 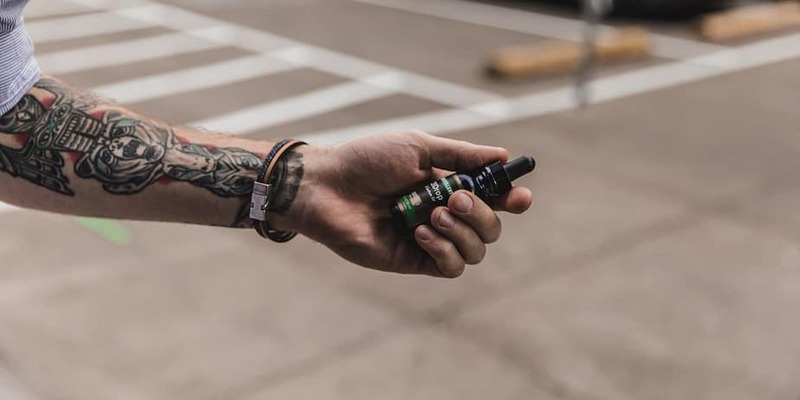 What you gain from Full Spectrum CBD is called the “entourage effect.” Studies have suggested that CBD is most effective when it’s combined with other cannabinoids. Each cannabinoid has its own properties and confers its own benefits. Working together, a synergy is created that boosts the healing properties of CBD. 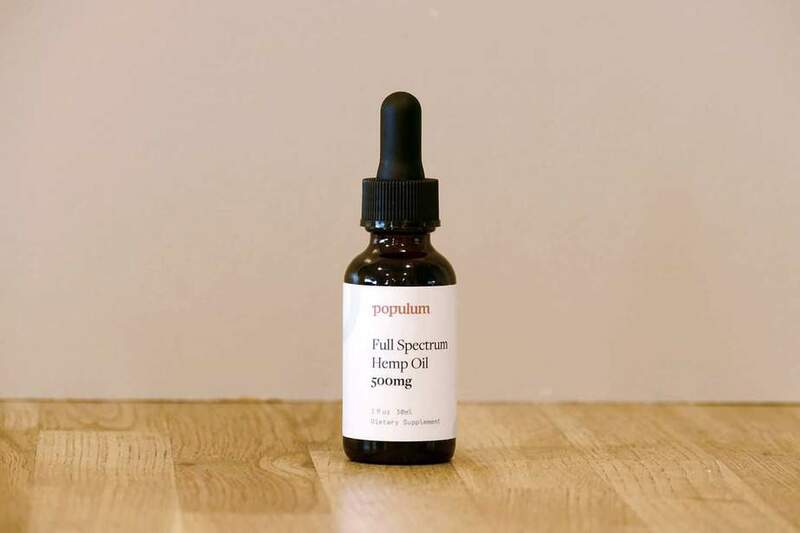 Full spectrum CBD does, however, bring with it the sticky issue of THC. The government regulates concentration levels of THC at 0.3 percent, an amount which results in minimal psychoactivity. But THC metabolites are stored in the fat cells of your body, building up over time. If you ever need to take a drug test, this could create an issue for you. If you want to avoid THC altogether, CBD Isolate is the way to go. CBD Isolate is just that — CBD that has been isolated and then refined to remove all other terpenes, cannabinoids, and plant material. This process eliminates the trace amounts of THC that would otherwise be present. The result is a fine white powder containing only the pure CBD chemical compound. This isolate is then combined with carrier oils (like hemp seed oil or MCT oil) to create marketable products. If you’re in the market for CBD isolate, it’s crucial to pay attention to the purity of the product. Many products made from CBD Isolate are labeled as being 99% pure. While those in the 99.9% range will have no identifiable amounts of THC, those in the 99.5% range may still have trace amounts that could show up in a lab test. 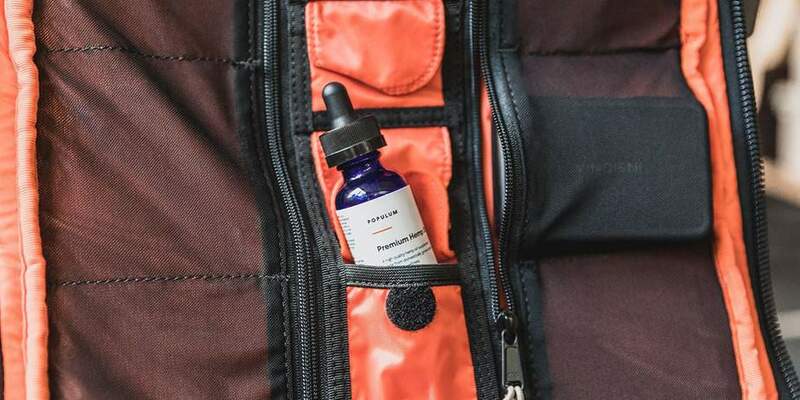 In your internet travels, you may also come across products called “terpsolates.” The manufacturers of these products infuse CBD Isolate with terpenes (but not cannabinoids like THC). These terpenes may enhance the effectiveness of CBD — or maybe they just make it smell good. This may be a good place to point out that not all CBD products are created equal. The industry is still largely unregulated, and the quality and quantity of CBD in a given product will vary wildly. 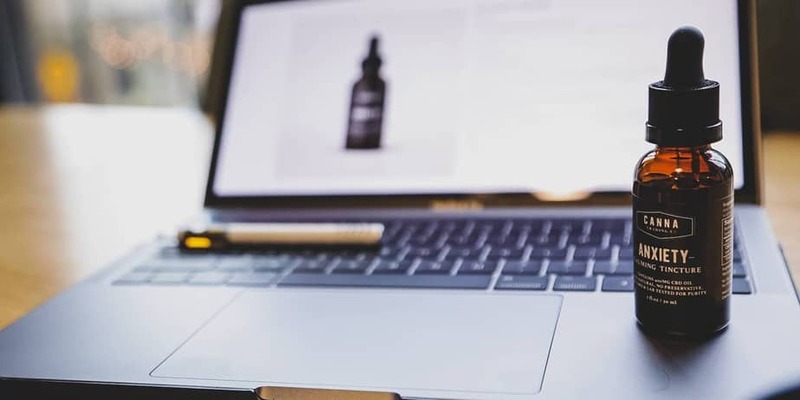 Third-party testing definitely helps to monitor companies’ claims, but it’s still up to you as the consumer to do your homework on the best CBD products. CBD Oil vs. Hemp Seed Oil? Another point worth clarifying is the difference between hemp seed oil (or hemp oil) and CBD oil. There’s confusion on this point for the very good reason that both CBD oil and hemp seed oil are extracted from the industrial hemp plant. But there’s a big difference between the 2. Hemp seed oil has been pressed from hemp seed, and it’s great for a lot of things — it’s good for you, tastes great, and can be used in soap, paint — even as biodiesel fuel. However, hemp seed oil does not contain any concentration of cannabinoids at all, including CBD. So by all means, stock up at your local natural food store. Just don’t expect to reap the benefits of a true CBD oil when you cook with hemp seed oil. And now, onto the thorny issue of legality. The simple answer to the question is yes — if it is extracted from hemp. The 2014 Farm Bill established guidelines for growing hemp in the U.S. legally. This so-called “industrial hemp” refers to both hemp and hemp products which come from cannabis plants with less than 0.3 percent THC and are grown by a state-licensed farmer. CBD derived from marijuana is a different story, and the law varies from state to state. But as long as you’re using CBD oil that contains less than 0.3 percent THC, you have nothing to be concerned about anywhere in the United States. 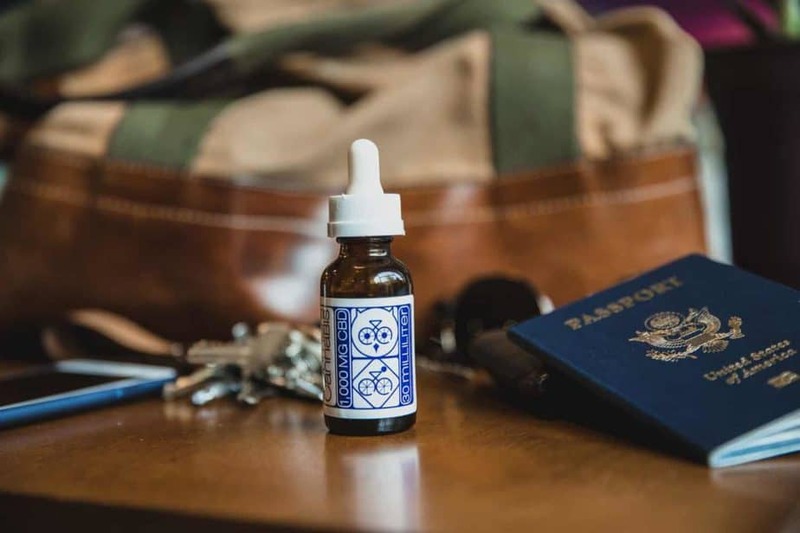 On the other hand, if you want to take your CBD on a trip outside the country, definitely look into local laws to avoid getting into awkward situations while you’re away. CBD roared onto the health scene in 2009 when scientists in California began producing CBD-rich cannabis. Since then, CBD oil has created a whole new industry, and with it has come all the attendant media attention of a “wonder-drug.” So what does it do? And what research supports these claims? It’s a truism to state that pain is an inevitable part of life. And it’s true that we all, from time to time, experience pain that is short-lived and treatable. But those who deal with chronic pain know the debilitating, life-sucking reality of this condition. And traditional medications often come with long lists of side effects which can be as debilitating as the pain itself. So when word started getting out that CBD has the potential to reduce pain without those side effects, it seemed too good to be true. In fact, numerous studies have looked at the relationship between CBD and pain, and the results are promising. Researchers have looked at various kinds of pain — from joint pain to cancer pain. One finding is that CBD increases levels of glutamate and serotonin — both neurotransmitters that play a role in pain regulation. And CBD’s anti-inflammatory properties help by tackling the root cause of much chronic pain. While CBD isn’t going to replace pharmaceutical pain relievers any time soon, initial studies have a lot of people excited about it. And there’s a ton of anecdotal evidence that CBD is providing relief for many people who suffer from many different sources of chronic pain. 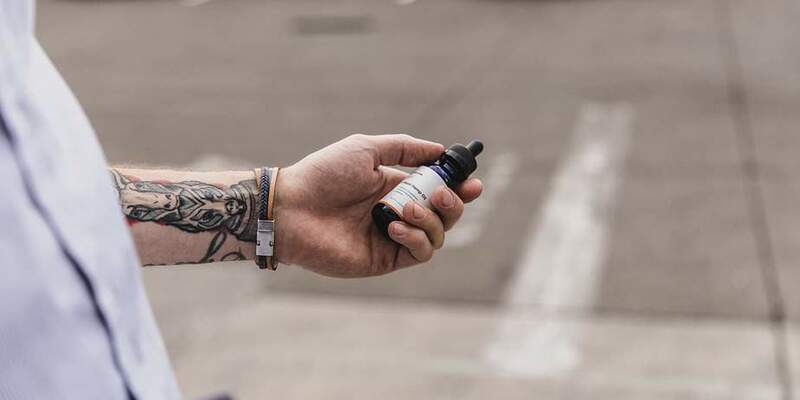 While researchers are calling for more robust studies on the role of CBD on mood disorders, there is promising research that points to CBD’s role as an anxiolytic — which means it has anti-anxiety effects. Another study showed CBD to have antidepressant effects comparable to those of the prescription antidepressant Imipramine. We noted above that CBD increases levels of glutamate and serotonin — and it’s these same neurotransmitters that play a crucial role in mood regulation. This doesn’t mean that you should flush your prescription anti-depressant or anti-anxiety medications down the toilet! These studies point to the need for more research to be done on CBD. But for those who have had limited success with prescribed medications, talking with your doctor about using CBD as an alternative is worth consideration. Sleep, the sweet elixir of the gods. So natural, but for many of us, so sadly elusive. There are lots of things that can keep a person awake — from anxiety or depression to chronic pain. We’ve talked about the way CBD can help to alleviate all of these conditions, so it shouldn’t come as a surprise that sleep might be a really sweet side effect of a calmer mind and a body that hurts less. For those with chronic conditions that interrupt sleep, CBD has been shown to be effective at helping those with PTSD and REM behavior disorder. 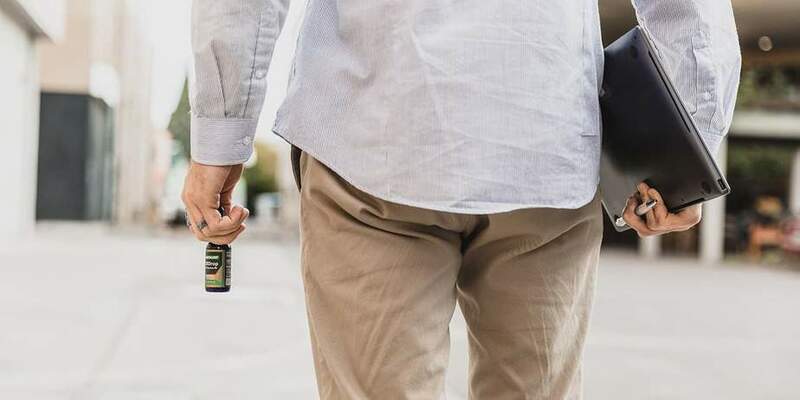 And while formal studies haven’t been completed on CBD and Restless Leg Syndrome yet, anecdotal evidence suggests that many people who use CBD oil have experienced a dramatic reduction in RLS symptoms. In the United States, over 3 million people suffer from epilepsy — 470,000 of those people are children. Epilepsy is a disorder of the brain that causes seizures — of which there are over 30 different kinds, ranging from mild and infrequent to life-threatening. Not surprisingly, people with epilepsy face significant challenges — from the cost of healthcare to work limitations and social isolation. And treatment proves difficult for many people. In fact, over one-third of people with epilepsy live with uncontrollable seizures because there is no available treatment that works for them. So when CBD started gaining mainstream attention for stopping or greatly reducing seizures, people started to get very excited. And with good reason. Evidence from laboratory studies, small clinical studies, and anecdotal reports over a number of years suggest that CBD helps control seizures. And in June of 2018, a major advance was made when the FDA approved a prescription cannabidiol medicine — Epidiolex — to treat rare and severe forms of epilepsy. This means that people with these rare and devastating forms of epilepsy will have access to CBD that has been clinically tested and dosed. In addition to all the benefits we’ve already discussed, CBD has been proven to have antioxidant and neuroprotective effects. This means that it helps repair the damage from oxidative stress, which is believed to be a primary cause of diseases like Alzheimer’s, Parkinson’s, ALS — even heart disorders and some forms of cancer. This is a hugely beneficial effect of CBD. Free radicals are the culprits when it comes to oxidative damage and inflammation. But CBD’s antioxidant properties can help to combat the negative effects of everyday exposure to elements that increase the production of free radicals. Obviously, you can’t avoid these things altogether (though Lord knows, some of us try). But CBD’s antioxidants strengthen the immune system and make it more able to withstand the aging and degenerative effects of free radicals. CBD’s numerous benefits have made it wildly popular for ailments as varied as mood disorders and epilepsy. A cannabinoid extracted from the hemp or marijuana plant, CBD has antioxidant, anti-inflammatory, and anti-anxiety effects — among many other benefits. And it won’t get you high. The somewhat frustrating answer is that there isn’t a one-size-fits-all answer to that question. Factors like your specific product, your genetic makeup, and the condition you want to treat will all play a part in the dose you take. It sounds like the title of a children’s book, but like so much else that you learned in kindergarten, it’s true. Everyone’s body is different — but everyone’s endocannabinoid system is really unique. For reasons we don’t fully understand, receptors in the endocannabinoid system don’t respond predictably to cannabinoids from person to person. This lack of a predictable response makes standard dosing tricky. Your age, weight, general health, and genetic makeup will all come into play as you look for your own “sweet spot” — the amount of CBD you need to get the results you want. You can expect to do a certain amount of experimentation before you find that optimal dose. The first step to finding your correct CBD dosage is getting as much information as you can about the product you’re using. What is the concentration of CBD? Are there third-party lab tests that can confirm that? The CBD industry is still mainly a grassroots therapeutic movement, and as such, largely unregulated. Concentration and purity levels can differ greatly depending on the manufacturing process. The manufacturer will probably give you a recommended dosage, but bear in mind that this isn’t set in stone. What you need to find is your own minimum effective dose. “Minimum effective dose” is a medical term which refers to the amount of a substance you need for the results you want, and above which, the substance doesn’t increase in effectiveness. Taking more CBD than you need can result in unwanted side effects, and it will certainly result in your spending more money than you need to. In the U.S., we live in a culture where more is often perceived as being better. And it’s easy, without even thinking about it, to apply that approach to CBD dosing. But when it comes to CBD, more is not necessarily better. In fact, for many, less CBD is more effective. One way to determine your optimal dosage is to start with a small amount of CBD for a couple weeks and then slowly increase your dosage, carefully taking note of symptoms, until you’re seeing the results you want. There’s also been a lot of talk lately about “microdosing” CBD. This refers to an incremental process of finding your minimum effective dose. You can do this with any concentration of CBD oil, but lower concentrations will take longer. How easy is it to breathe? How comfortable and calm does your body feel? How easy is it for you to smile authentically, to feel content and grateful? You then take your first drop of CBD oil, wait 45 minutes, then ask the questions again. If you feel no different and there’s no change in the way you answer those questions, you increase the dose by small increments until you do notice a difference. You can continue this process over several days — and at some point, you’ll find that taking more doesn’t change your scores. That is your minimum effective dose. CBD is often hailed as a Miraculous Cure for Everything, which it isn’t. It’s a substance with immense potential to heal and give relief — but it won’t necessarily be an immediate cure for your every ailment. Before you begin taking CBD, you might want to spend some time thinking, as specifically as possible, about what you want it to do for you. Also consider what results you need to see to make the expenditure worthwhile. Then take your time, and pay close attention to your body in order to give your experiment the best chance of success. And if you’re taking any other medications, please do talk to your doctor before you begin to experiment with CBD. This will help you avoid any potential drug interactions or an unwanted decrease in the effectiveness of your other medications. Today, dozens of ongoing studies are looking into the still somewhat mysterious, but vastly promising field of CBD. With all of the conditions listed above — from chronic pain to mood disorders and epilepsy — there’s an abundance of anecdotal evidence and a growing amount of hard science that CBD can make a big difference. As with any major change to your health routine, it’s important to talk to your doctor before taking CBD for any condition — especially if you’re already taking other medications. She can advise you on possible drug interactions and any reasons that CBD might not be a good choice for you personally. Sonja Soderlund is a freelance writer and CBD oil researcher. She has a background in education and a longstanding addiction to 19th-century literature and very strong tea.